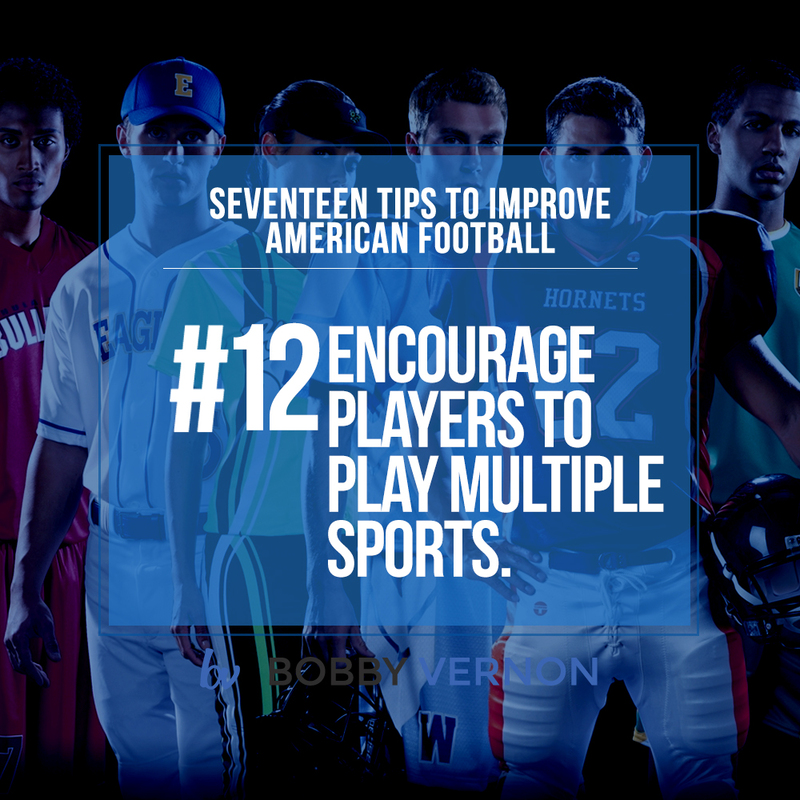 Tip #12 – Parents and coaches should encourage players to play multiple sports. Many parents and coaches today are encouraging kids to forgo other sports and focus on football year round, out of the same outdated belief that more time equals better results. . The truth is, most athletes would be much better off playing a variety of sports in order to develop additional athletic skills, instincts, and muscles. Not only will this help them play better football, but they’ll have more fun. Remember that idea? Gaining experience as a multiple-sport athlete will also help prevent burnout and the repetitive injuries caused by doing the same thing all year. On top of that, a player never really knows what his athletic future may be, and playing multiple sports provides him more exposure and opportunity.